In late 2015, Miguel Claro’s lens gave Esporão Tower a different allure. This magic has been taking shape for over 10 years in the quest for union between Heaven and Earth, while always appreciating architectural heritage. 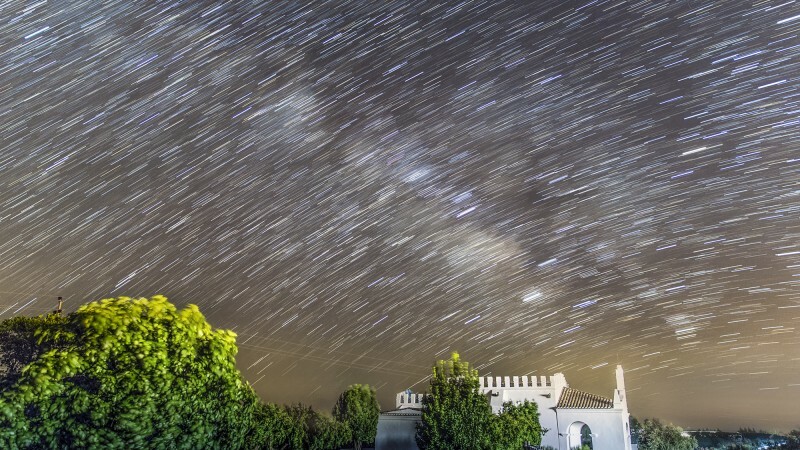 Miguel Claro’s celestial images already include countless perspectives and scenarios that highlight landscape and cultural heritage while emphasising the magnificence and ineffability of our galaxy. Skies such as those above the ruins of the Roman City of Ammaia and the Stone Circle of Xerez, among many others, would make anyone’s imagination fly. These impressive photographs never end in the brevity of a moment; a series of images immortalise the movement of celestial bodies in a way that very few see. Some even remind us of Van Gogh’s “Starry Night”. 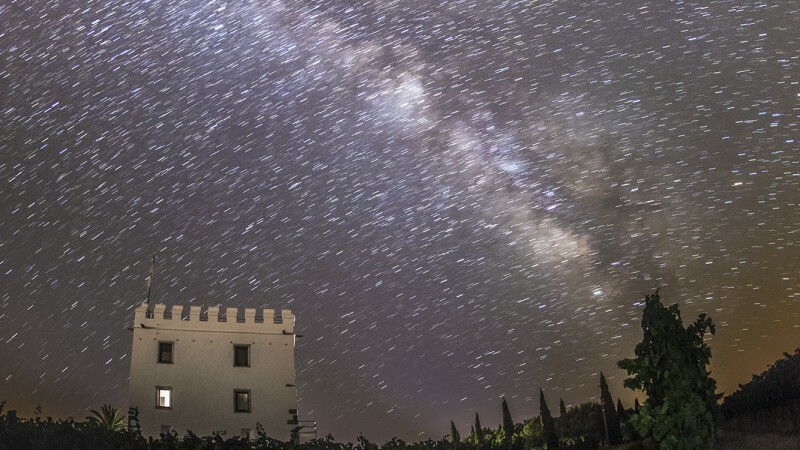 If we visit his personal website, the reason behind the photographer’s passion is clear; a passion which now includes two historic buildings from Herdade do Esporão, where we can also be dazzled by the sky over the Nossa Senhora dos Remédios Chapel.